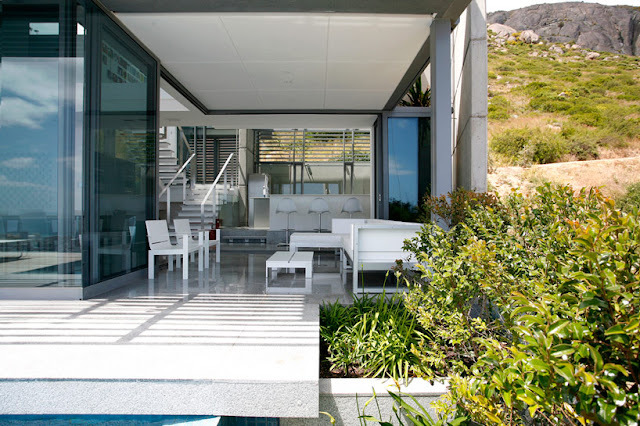 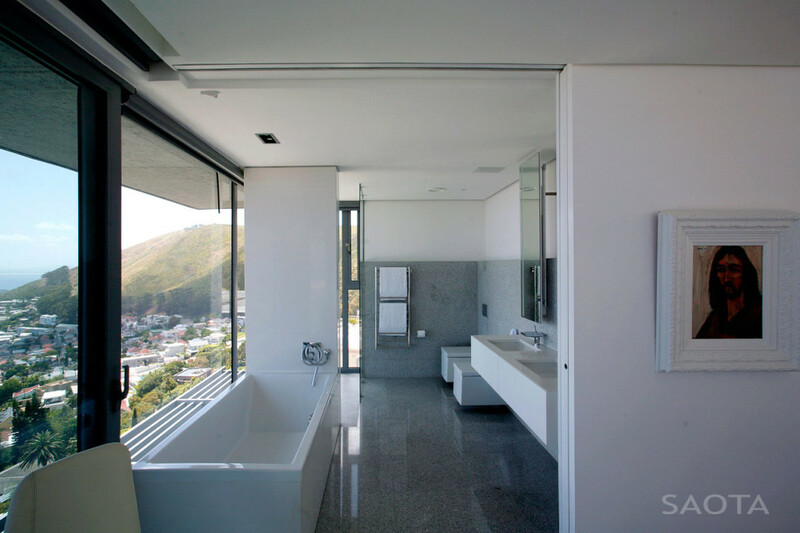 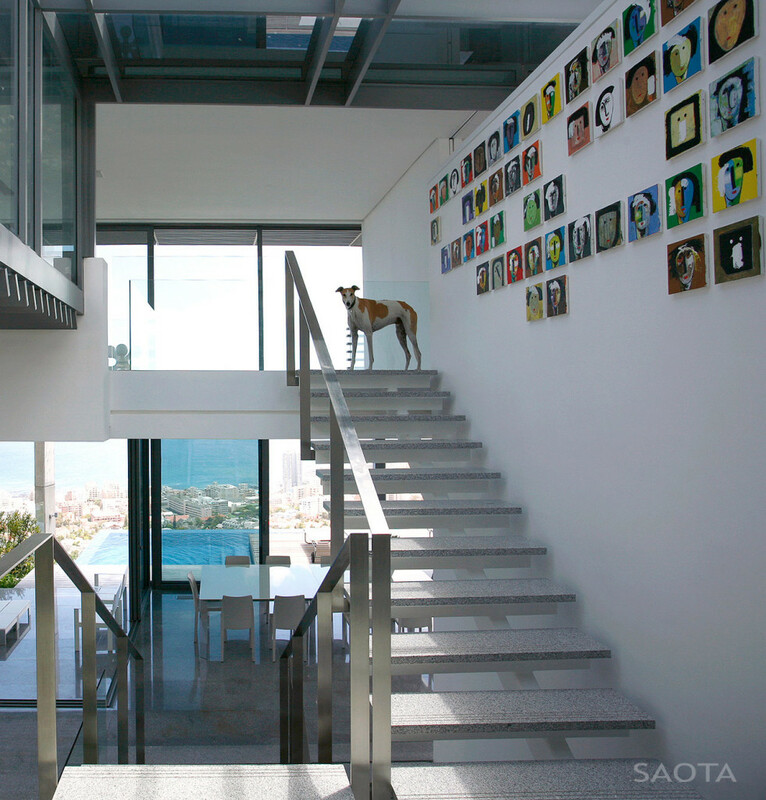 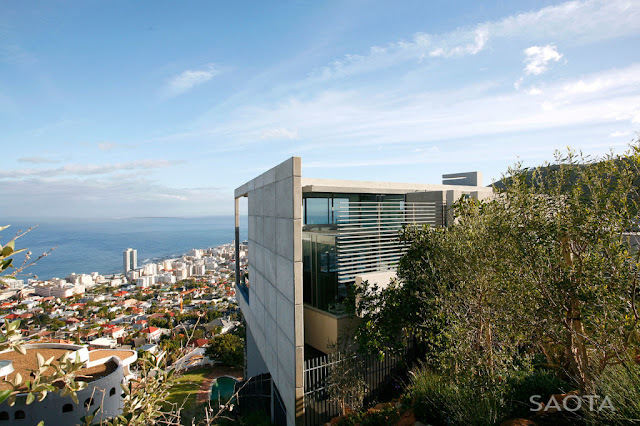 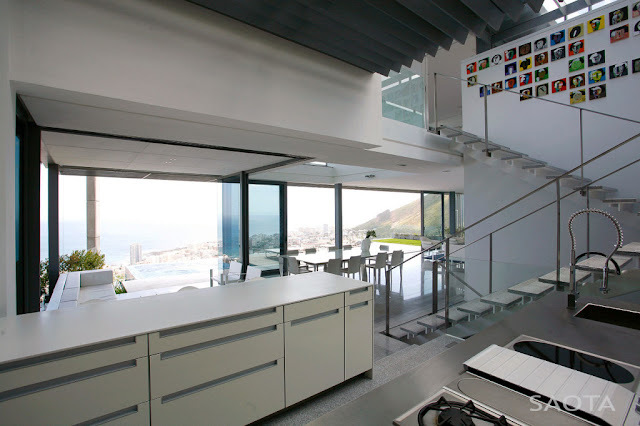 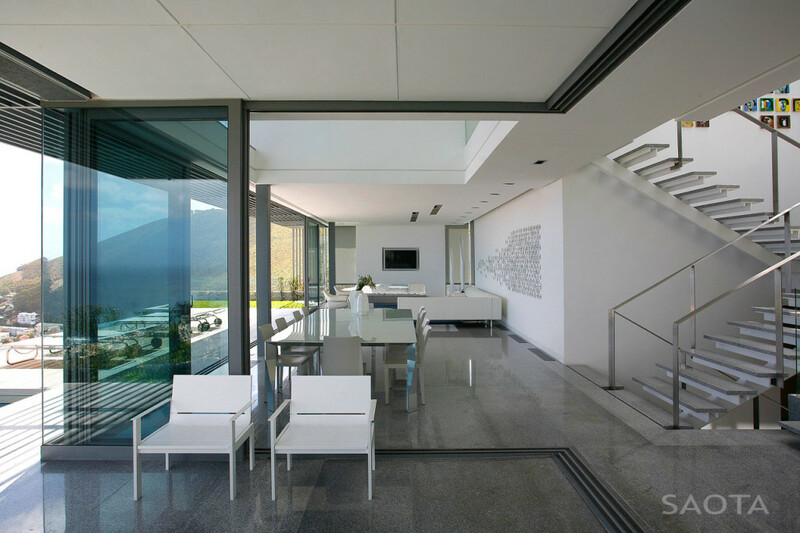 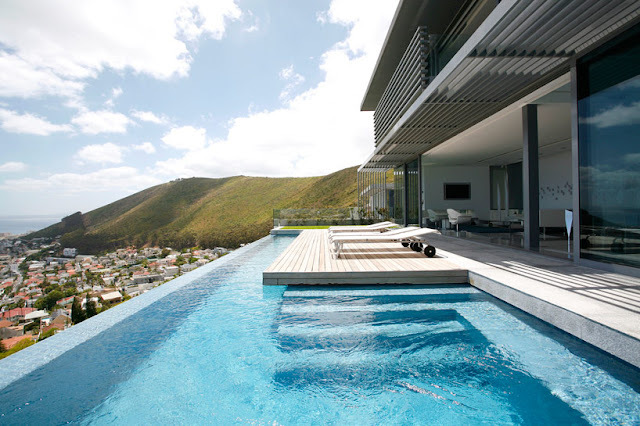 South-African architectural practice SAOTA has recently completed Head 1815, a stunning house in Cape Town, South Africa, whose location allows for views of the Atlantic Ocean, the nearby town of Fresnaye and the Lion’s Head Mountain. 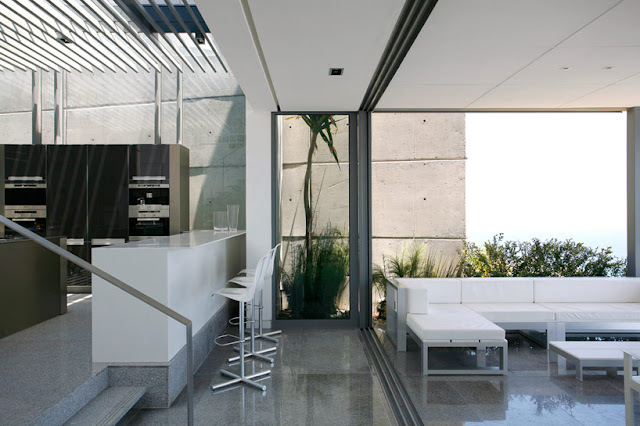 The ground level contains the entry hall (accessible from the street by steps that lead to a glass-roofed lobby), a large living room that leads into the dining area and kitchen, and an infinity pool located behind large sliding glass doors. The first floor contains the master bedroom, a dressing room and an en-suite overlooking the pool area and the nearby town. 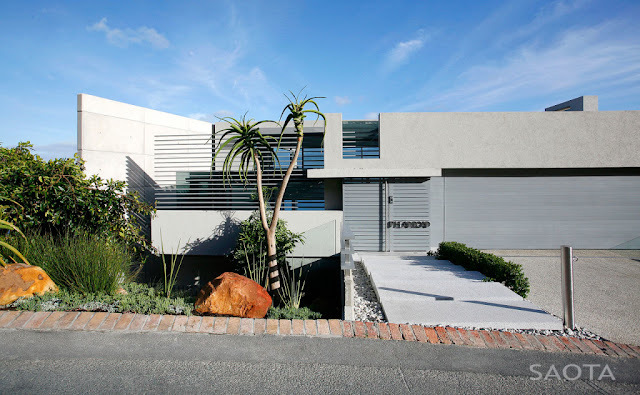 Throughout the house, concrete walls are broken up by sections of slender aluminium louvers that also filter direct light into the open-plan interior. The residence of a young couple, Head 1815 is built on stilts rather than embedded into the hillside due to the steep grade of the site and local building restrictions.